3 Garnets & 2 Sapphires: The Ultimate Gift Idea for Young Artists . . . Bring Children's Artwork to Life with #Budsies! The Ultimate Gift Idea for Young Artists . . . Bring Children's Artwork to Life with #Budsies! 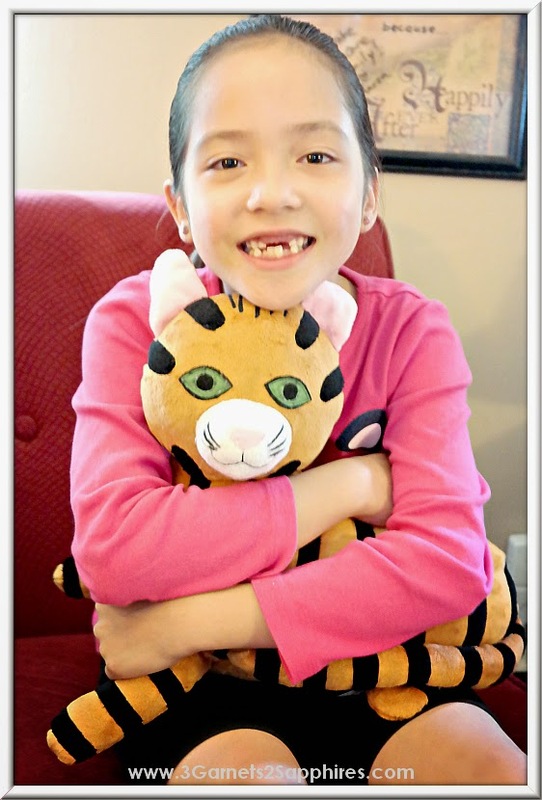 Thank you to Budsies for providing complimentary custom stuffed animals samples for us to base this review upon. All opinions express are our own. If you have a child who has a deep love of drawing, this gift idea will surely be a cherished one. 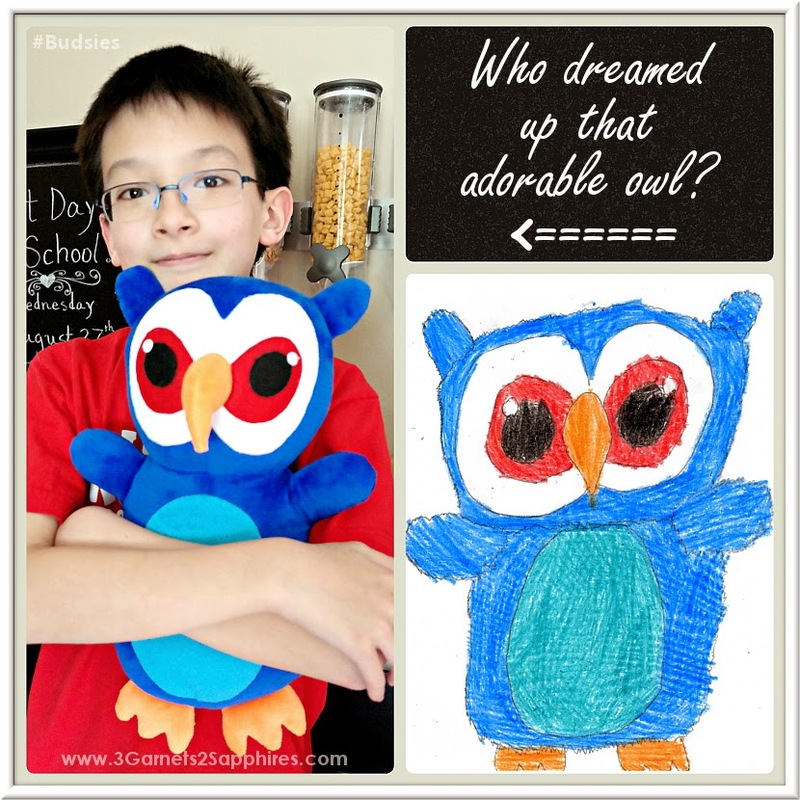 We have two such children in our house and they were over the moon about the idea of bringing their artwork to life in the form of a custom plush toy. It didn't take them very long to decide what to draw, but what then? That's where Budsies came in . . .
On Budsies.com, you can submit a scan or a digital photo of your child's artwork to have a Budsies designer create a 16" plush toy in the artwork's likeness. Our two children, who submitted artwork, are 10 and 7 years old and were able to follow the tips I gave them quite well . . .
1. Try your best to show the entire subject on the page without having parts cut off at the edges. 2. Use solid blocks of color when coloring in your subject. 3. Try to assign a color to every party of your drawing. 4. Keep your background white or another solid color. 5. Don't worry if any parts are a little abstract. Even if you just do one or two of the above or your artwork was drawn for another occasion, you will be amazed at what the designers at Budsies can do. Visit Budsies on Instagram for some wonderful examples! All the materials that go into making each one-of-a-kind creation are hypoallergenic, so they are safe even for the youngest artists. If your child needs a little inspiration, he or she can take a look at the Budsies templates. I have to say that the whole process of ordering from Budsies could not be more simple. When you submit your image, you will have the opportunity to include some characteristics about the subject to help the designers really capture its spirit. The hardest part was waiting for the custom plush to be crafted. 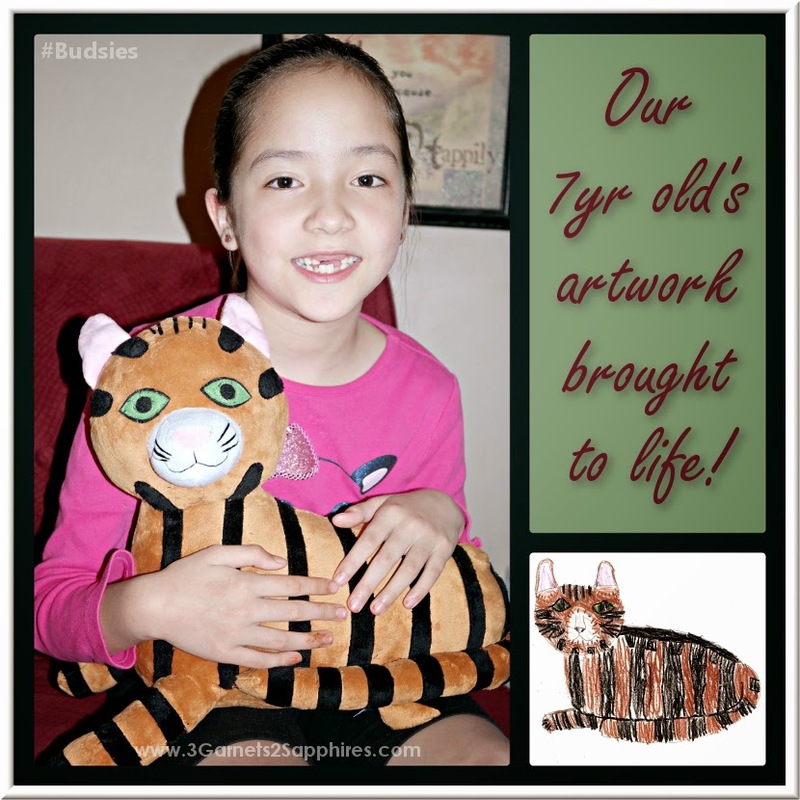 It takes approximately 5 weeks from the time you submit your child's artwork to the time your child's new plush friend gets delivered to you. My children asked me at least once a week about when their cat and owl would be arriving. When the cat and owl finally arrived, I was pretty darn impressed. In fact, I shared a photo of the plush toys next to the drawings on Facebook and everyone was amazed. My daughter was thrilled with how her cat came out and would not stop hugging it. My son loved his owl, but wished it was a tiny bit pudgier. Both the likeness and the workmanship looked incredible to me. Need more reasons to be impressed? Budsies gives back by partnering regularly with children's charities, such as Easter Seals and the Leukemia and Lymphoma Society to bring smiles to children who don't have many things to smile about. Learn more about how to get involved or suggest your favorite children's charity to Budsies! 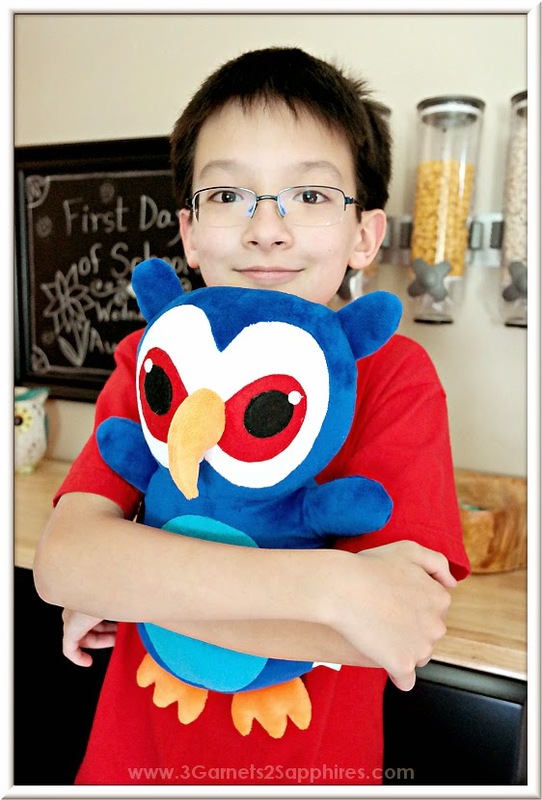 Thinking about ordering a new plush friend for your child from Budsies.com? Now is the time! Budsies is offering a special online price of $69 (Reg. $99) per plush, plus 3G2S readers can save an additional 10% off when you checkout using Budsies promo code: 3G2S10. Remember to plan ahead because it takes up to 5 weeks to have your custom plush made.